Client Mario Cucinella Architects S.r.l. The Algiers Teaching Hospital is intended as one of the principal health care facilities responding to the new ambitions of the growing country. 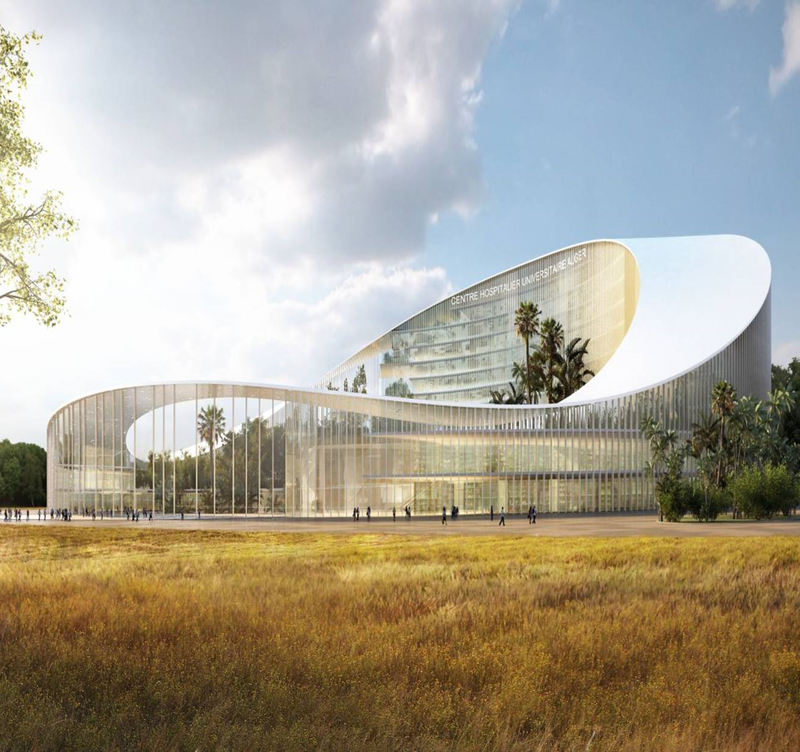 The project is developed by Rizzani De Eccher and San Raffaele. the Italian architectural firm MCA is responsible for the design since 2014. 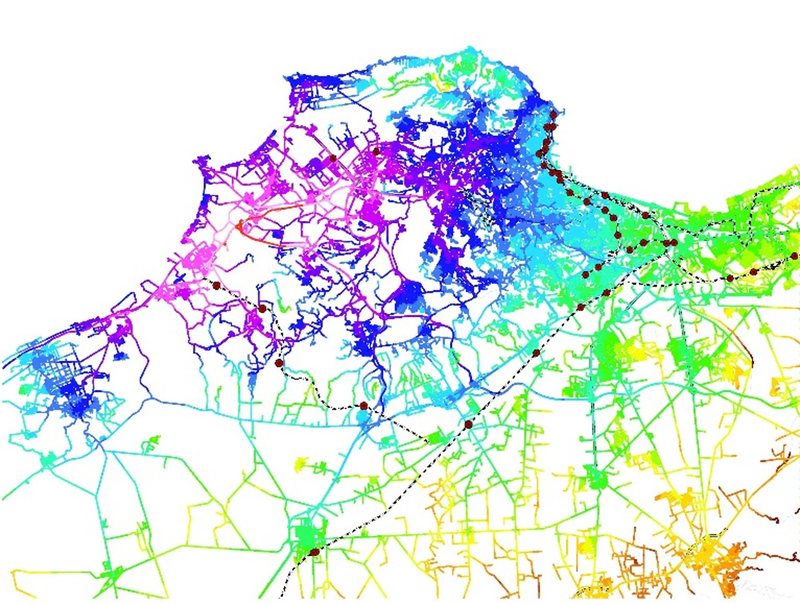 Systematica acted as the transport consultant by operating a set of analytical tools both at regional and local scale. 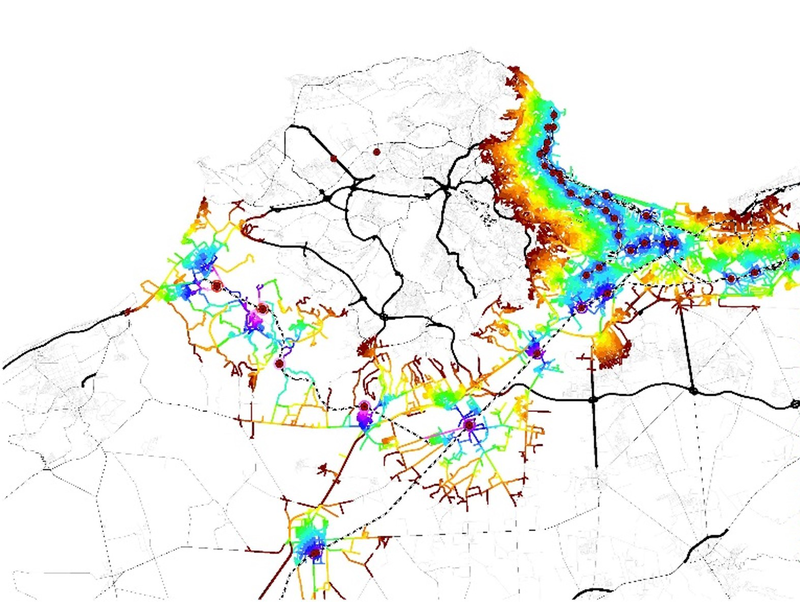 The isochronal analyses carried out through the GIS platform, enabled to detect the current and future accessibility to the project site by private and public transport. While the existing roadway network ensures the connection with the urban area of the capital in less than 30 minutes, the PT accessibility is deemed to be achieved through the implementation of two new railways, interchanging at Zeralda, in the project vicinity. 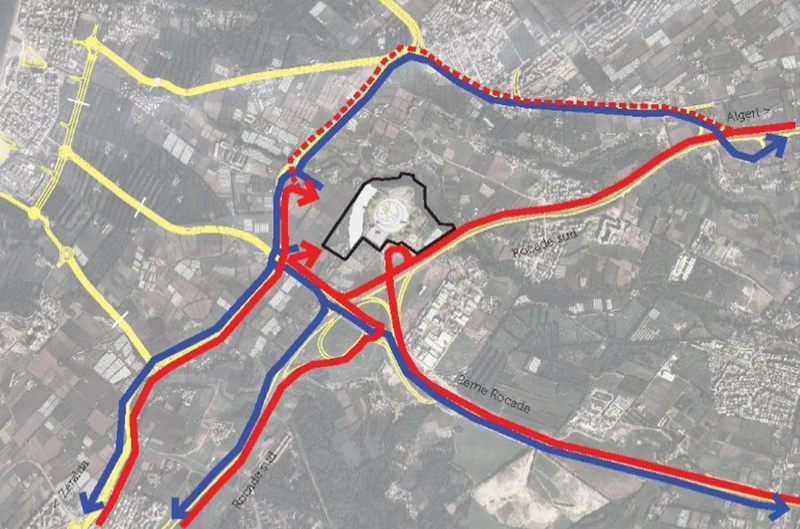 At the local and building scale, consultancy is focused on defining an effective access system to the new Hospital for all the users’ categories and modes of transport. Dedicated access and specific waiting area are reserved to emergencies, visitors, staff and logistics . Pedestrian accessibility is carefully managed and enhanced through the implementation of shuttle lines connecting with the main PT hub in Zeralda. The parking demand is carried out through the comparative analysis of several international benchmarks. The estimated provision in parking places is ensured in outdoor and indoor strategic areas counting 1750 parking places of which 840 reserved to staff. The future implementation of PT lines is going to reduce the overall amount to 1541 parking places.